These notes describe basic material about smooth manifolds (vector fields, flows, tangent bundle, partitions of unity, Whitney embedding theorem, foliations, etc...), introduction to Morse theory, and various applications. From the table of contents: Basic Concepts (The concept of a fiber bundle, Coverings, Morphisms...); Bundles and Cocycles; Cohomology of Lie Algebras; Smooth G-valued Functions; Connections on Principal Bundles; Curvature; Perspectives. 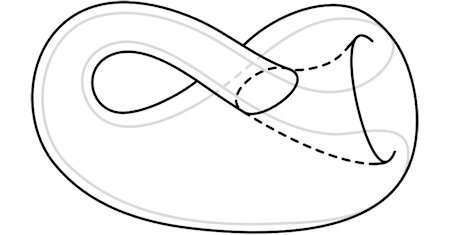 Contents: Why Differential Topology? Basics of Differentiable Manifolds; Local structure of smooth maps; Transversality Theory; More General Theory; Differential Forms and de Rham Theory; Tensors and some Riemannian Geometry; Morse Theory; etc. This is an introductory text on the more topological aspects of contact geometry. After discussing some of the fundamental results of contact topology, I move on to a detailed exposition of the original proof of the Lutz-Martinet theorem. This book provides full details of a complete proof of the Poincare Conjecture following Grigory Perelman's preprints. The book is suitable for all mathematicians from advanced graduate students to specialists in geometry and topology. The text covers foundations of symplectic geometry in a modern language. It describes symplectic manifolds and their transformations, and explains connections to topology and other geometries. It also covers hamiltonian fields and hamiltonian actions. An introduction to symplectic geometry and topology, it provides a useful and effective synopsis of the basics of symplectic geometry and serves as the springboard for a prospective researcher. The text is written in a clear, easy-to-follow style. An overview of symplectic geometry – the geometry of symplectic manifolds. From a language of classical mechanics, symplectic geometry became a central branch of differential geometry and topology. This survey gives a partial flavor on this field. The historical driving force of the theory of manifolds was General Relativity, where the manifold is four-dimensional spacetime, wormholes and all. This text is occupied with the theory of differential forms and the exterior derivative.